Closes unneeded holes in chassis or other surfaces. 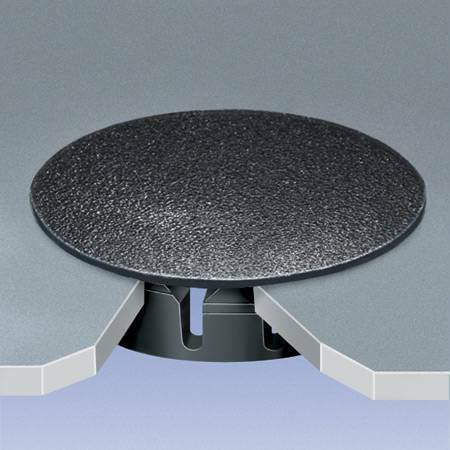 Locks firmly into chassis or surface up to 1/8" thick with quick and easy installation. Convex matte-finish head tapers to thin edge. Material is Nylon 6. Standard color is black. White is available upon request. Approximate Head Thickness: 0.063" (Thickness may vary.) A Variety of Metal Thickness availabe on certain sizes. Description Dome plugs are made with a matte-finish head. These dome plugs will lock into metal up to 1/8" thick, and can be easily instillation and tapered to a very thin edge. They are best for closing unnecessary holes in products such as chassis.